Can you send any file on Whatsapp? No, you can’t. Because it doesn’t allow to send large files and also document files. You cannot say Whatsapp is a social networking site it is basically a chat networking. Among another chat network, Whatsapp is most popular and most used application over Smartphone. It is because it is easy to use and maintain. You can add friends using just their phone number. 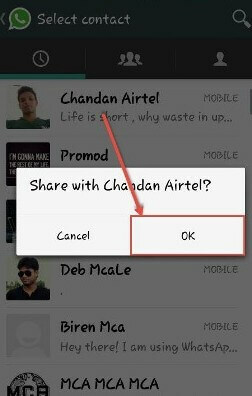 Not only has the chat Whatsapp provided an environment of sharing videos photos, etc. There are some questions arise for new Whatsapp users that how to send audio, video or image over Whatsapp? That is easy. 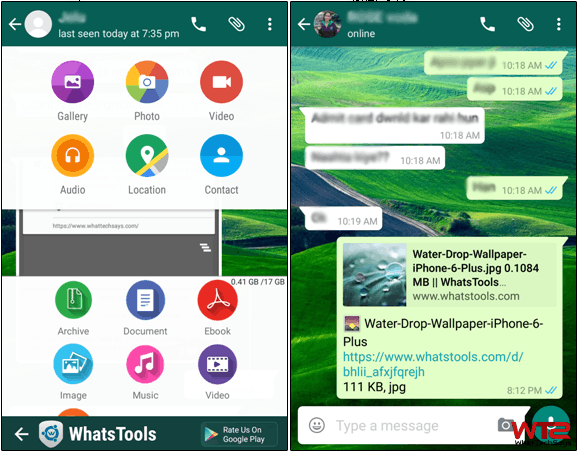 Even Whatsapp provides a built-in facility of sending images, videos and audio. Now my second question is for experienced Whatsapp user that how to send an eBook, PDF, Word document or a Text file on Whatsapp? Now I say why we do not try to send other file types if it is possible. This is because most of your friends are using Whatsapp so why you use an additional application like Email for files transferring. Hear the trick to send any file on Whatsapp. There is an application available on Google Play Store named as WaSend or WhatsApp File Sender. This application is designed for sending any file on Whatsapp bellow of size 150 MB, that file whatever may be the type. 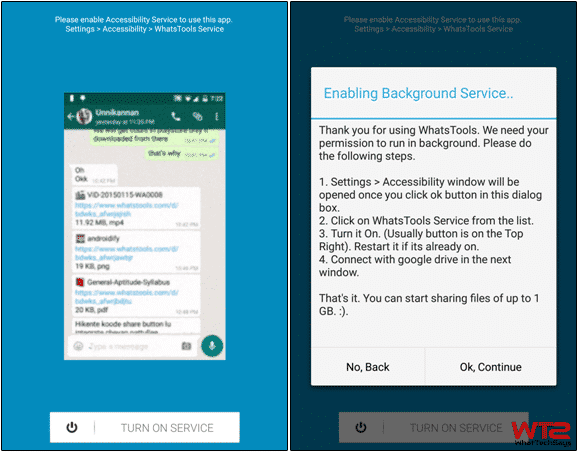 That means using WaSend you can send any file on Whatsapp. However, the restriction is that both sender and as well as the receiver needs to install the small app. 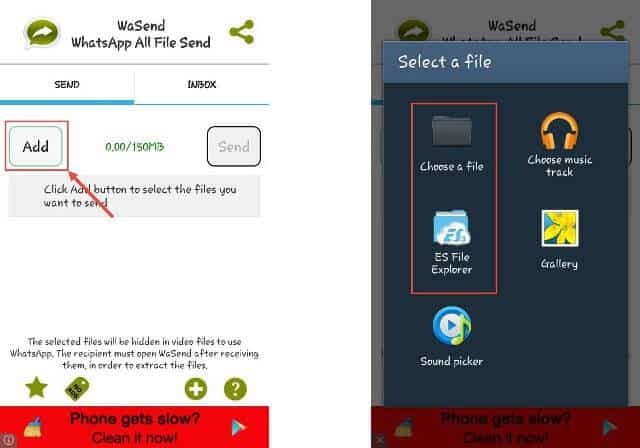 The following are the steps for sending any files on Whatsapp using WaSend. 1) Install WaSend in both Receiver and Sender mobile. It is available on Google Play Store. 2) Open the app and click on the Add button. Then select the file using the file explorer or the built-in file manager. 3) After clicking on the file Pick file as popup box will appear. 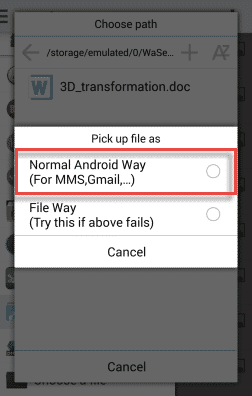 From the popup box select the Normal Android Way and then the file will show selected below the Add button. 4) Now press on Send button it will redirect you to Whatsapp application. 5) The final stage is just selects the friend or group from Whatsapp to whom you want to send the document file and click on the hit the Ok.
6) Now the work is for the receiver. He or she will get a notification alert like Whatsapp alert notification. And by clicking on the message he or she will get the file that you send. 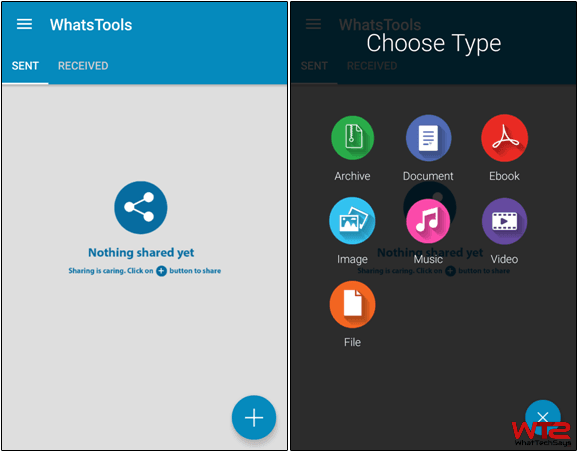 WhatsTools is a new Android application which helps you to send any large file on Whatsapp (maximum 1GB). It is simply an extension for your messenger and it works on almost all types of messaging apps. Using this tool you can easily send movies, PDF, MS office documents, APK files, ZIP and RAR files, etc. It is as a free download on Google play store. Follow the below steps to know how it works. When you run it for the first time it asks you to enable Accessibility Service to use this tool. Simply tap on “TURN ON SERVICE” button or you can manually do it by going your phone’s Settings >> Accessibility >> WhatsTools Service. It also demonstrates you how to easily setup it. After that, it’ll prompt a window to access your Google drive. 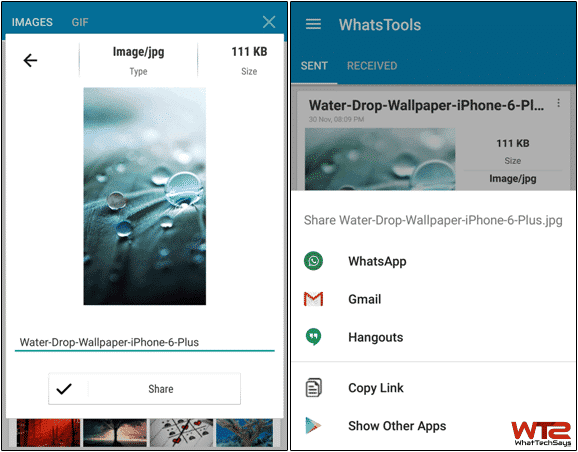 After granting access to your Google account, you can share your Google Drive files with your Whatsapp friends. Now your Whatsools is ready to use. On the main interface, there is a plus button which is used to select your files which you are interested in sharing with your friends. Choose your desired file and click on “Share” button. This process uploads the file on the server and prompts a window to share that file on your messaging app. Now choose Whatsapp and select a friend to which you send that uploaded file. Now you are done. The user will get a unique link of that file. He/She can open it with the browser or with Whatsapp tool. This tool also works directly on the Whatsapp messenger. To send any file on Whatsapp, click on attachment button from Whatsapp contact. This will show you two windows instead of one. The below window is for Whatsapp. Now select your file and send it to your friend. That’s it. This is a simple application to send any type of file on Whatsapp. If the receiver does not have the application, he or she will get a short video from the sender that demonstrated about the application.